Central Japan, despite being a cultural region with a strong old-world flair, is able to balance tradition and development through cities like Nagoya. Aside from being a booming business district and a city of advanced technology, Nagoya City serves as the gateway to the soul of Japan. Served by the Chubu Centrair International Airport, the city is almost always the first stop by international visitors of the region. The capital city of Aichi Prefecture, Nagoya holds a past centered on waging and conquering wars. It is a historic manufacturing hub, which produced the most efficient aircraft in World War II. The city is also home to the three most renowned ninja schools in Central Japan. 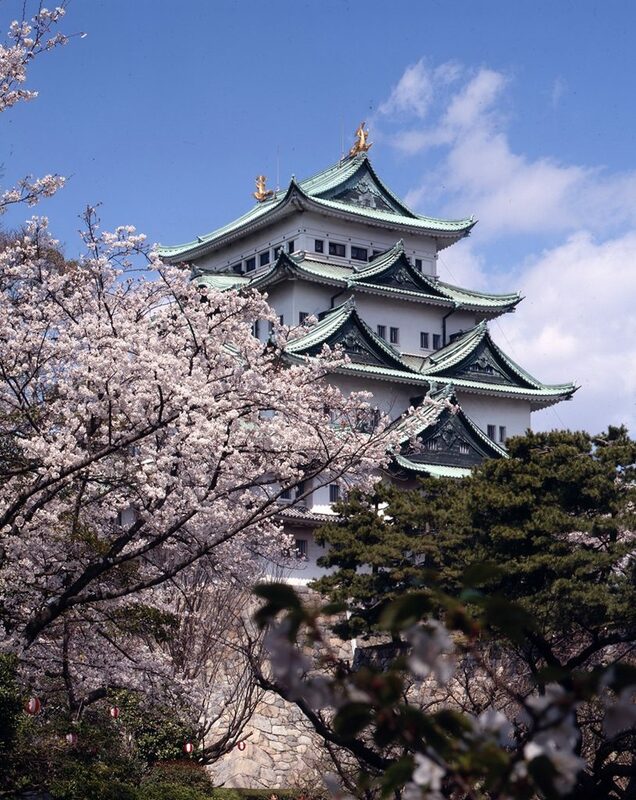 With its colorful history, Nagoya has garnered an indestructible beauty—just like its crowning glory, Nagoya Castle. In autumn, a drive around Nagoya is scenic. As a business district, Nagoya City rises early, with rush hour beginning as early as 7 a.m. At 9 a.m., the whole city is buzzing with life. You, too, can experience this vibrancy if you set out early to explore the streets of Nagoya. Sitting on a man-made island along Ise Bay, Chubu Centrair International Airport serves as the first-class gateway to Nagoya and the whole Central Japan region. 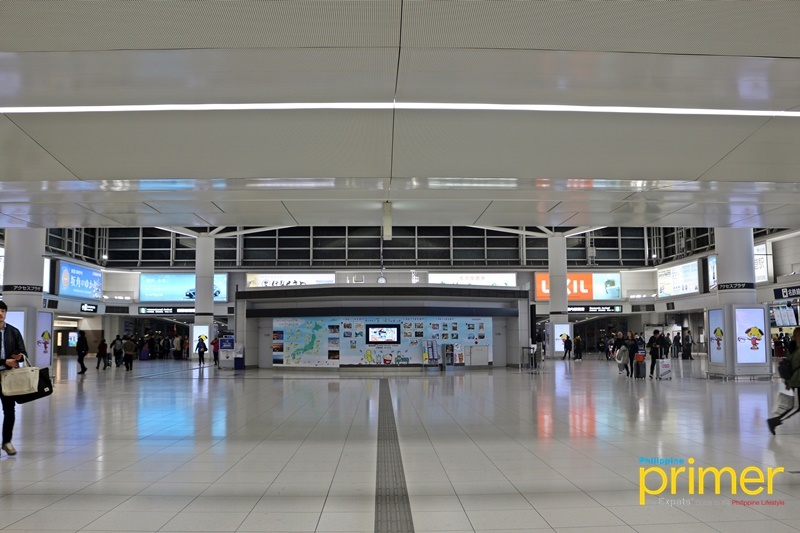 This airport is served by the Meitetsu Line, which can take you about 28 minutes to Nagoya Station, making it easier to go to Aichi Prefecture’s capital city of Nagoya. Chubu Centrair International Airport is served by the Meitetsu Line, connecting the airport to different parts of Central Japan. Centrair is not just an airport—further inside is a newly-opened facility that holds surprises for every visitor. 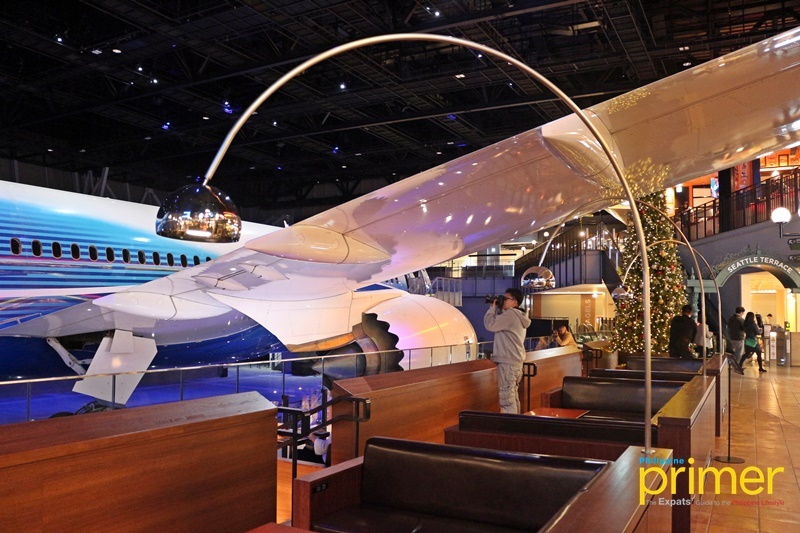 Centrair houses Flight of Dreams, a new facility that exhibits the first-ever Boeing 787 Dreamliner. Subaru is involved in the manufacturing of Boeing 787 Dreamliner. 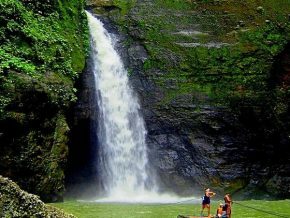 The Flight of Dreams holds two main attractions that both children and adults will come to like. A collection of choice restaurants at Seattle Terrace (2nd – 3rd floors) takes you on a gastronomic tour around the wonders of Seattle, Washington. The 2nd floor also offers a great view of the Dreamliner and the experience of dining under its wing. Flight of Dreams is one of the main attractions inside Chubu Centrair International Airport. 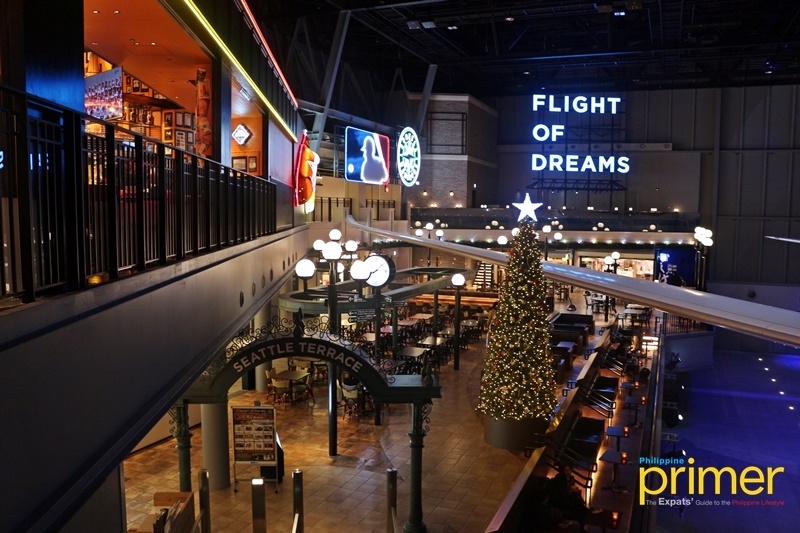 Sample the restaurants at Flight of Dreams and dine under Boeing 787’s wing! Finally, on the ground floor, Flight Park offers an experiential tour inside the Dreamliner. This includes an exhibit and a light show every 30 minutes that further awe the visitors with its colors. 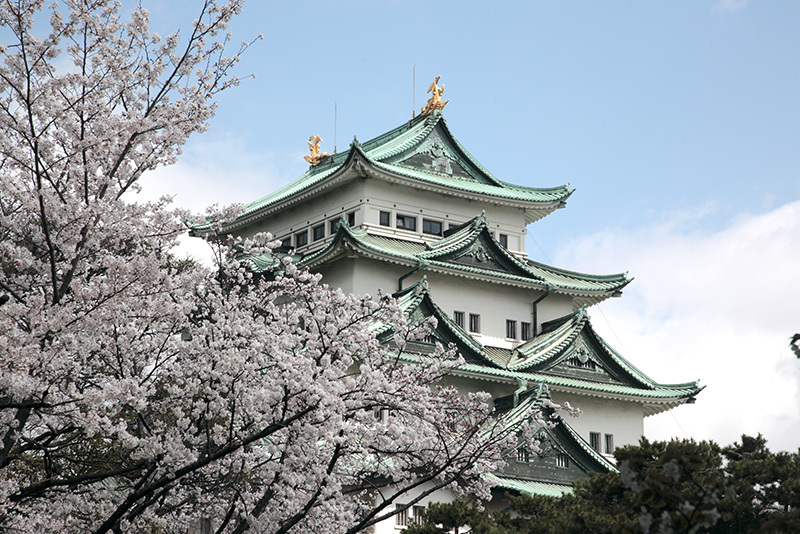 Nagoya Castle is an impressive sight in any season. Originally constructed in 1612 during the Tokugawa period, Nagoya Castle stands at the center of the former castle town of Nagoya, fortified with reconstructions even up to this day. Today, this National Treasure still stands majestically with its pair of replicated kinshachi (golden dolphins) gleaming on the roof of Nagoya Castle, symbolizing Tokugawa’s power and wealth. 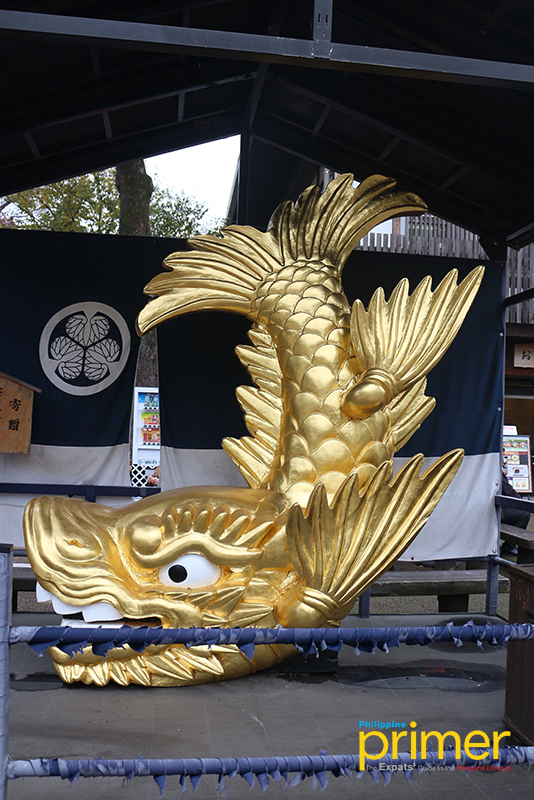 This kinshachi or golden dolphin mirrors the pair found atop Nagoya Castle. The original kinshachi was made of gold. 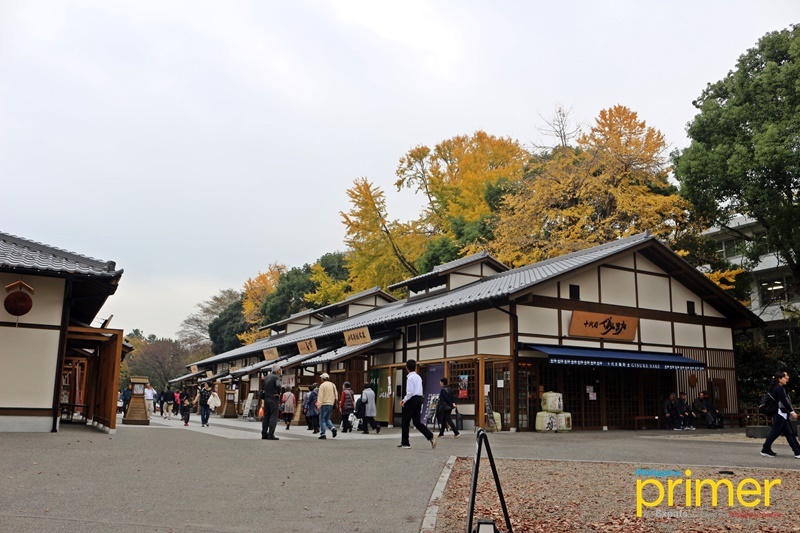 The main keep of Nagoya Castle is currently closed for renovation, but visitors can still explore the castle grounds and the newly-restored Hommaru Palace. Sustaining damage caused by the air raids of World War II, the residential palace was rebuilt for nine years since 2009. What made the restoration even more commemorable is the use of original materials, just like the Japanese cypress. The Omote Shoin (Main Hall) was where the feudal lord appeared to face the public. 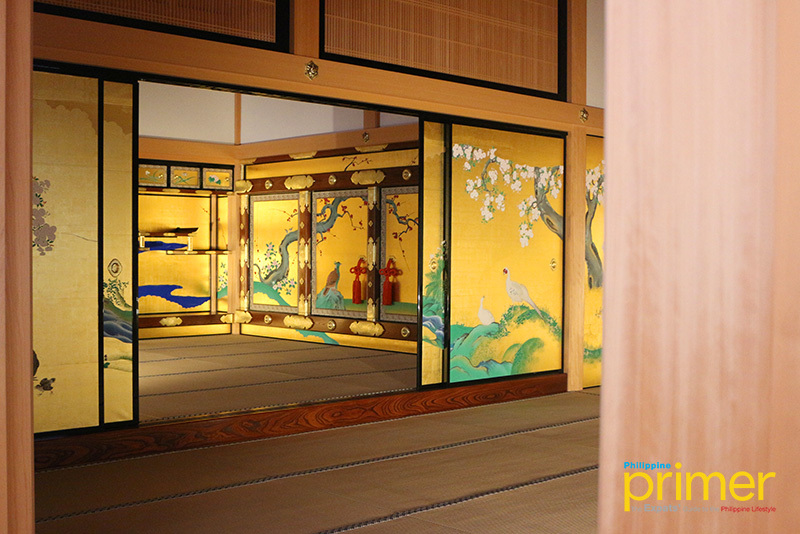 The cypress wood will surely invade your senses with its sweet smell, taking you back to the Tokugawa period as you read the stories displayed along the palace halls. After spending half of your day touring Nagoya Castle and Hommaru Palace, it is always a good idea to have your well-deserved meal at Kinshachi Yokocho outside the castle grounds. 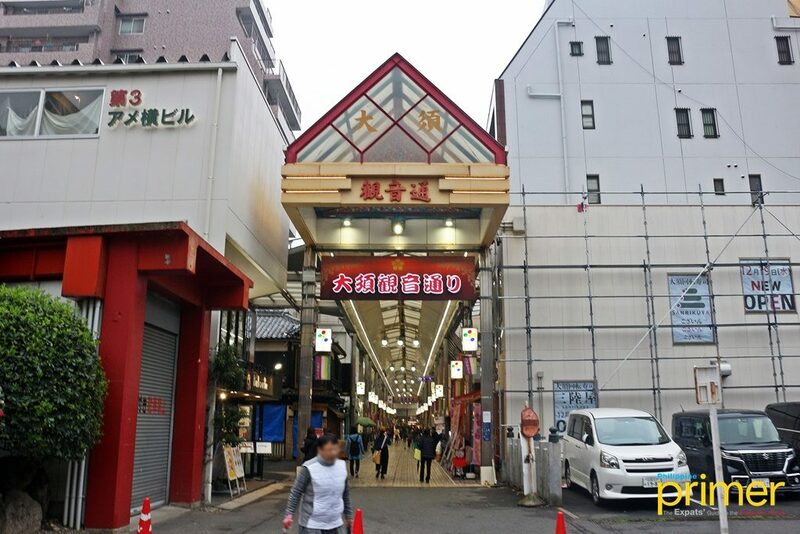 Kinshachi Yokocho is a charming gourmet town, comprised of two zones: the Yoshinao Zone, located in the main gate area before you reach Nagoya Castle, and the Muneharu Zone near the east gate of the castle. Kinshachi Yokocho gives Nagoya Castle’s visitors a gourmet adventure! The Yoshinao Zone, named after the first feudal lord of the Owari Tokugawa line, upholds tradition not only with the Japanese-style establishments but also with their offerings of “samurai cuisine” or traditional Nagoya dishes. The Yoshinao Zone features Japanese architectural design from the Edo Period. One of the restaurants serving unique Nagoya delicacies is Yamamoto-ya-sohonke, or simply Yamamoto-ya, the most famous noodle shop in Nagoya. Yamamoto-ya applies the traditional cooking technique of placing kneaded flour dough in a boiling pot of water. Unique to this restaurant, the noodles are cooked al dente, which gets softer the longer you let it sit in the piping hot soup. The soup is made with red miso, a typical ingredient in Nagoya cuisine. On the other hand, the Muneharu Zone, named after the seventh lord of the clan, Muneharu Tokugawa, features modernity and creativity from the establishments’ architecture down to the touch of Western cuisine in the restaurants’ offerings. 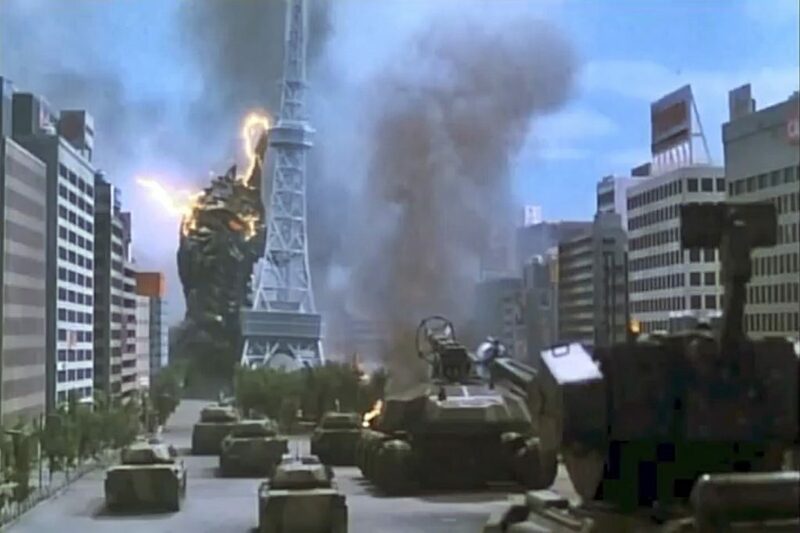 People may have seen the Nagoya TV Tower as the iconic 180-meter-high building that was destroyed by Battra in the 1992 sci-fi fantasy film, Godzilla vs. Mothra. But thankfully, the tower still stands tall and proud at the heart of Japan to this day, an enduring landmark in Nagoya since 1954. This sky-high broadcasting tower designed by Professor Tachu Naito of Waseda University is unmistakable as it stands just to the east of Meitetsu Grand Hotel, high above other buildings in the area. A view of the Nagoya TV Tower can be seen from the Oasis 21. The Nagoya TV Tower is the oldest broadcasting tower in Japan, built with the country’s continuous pursuit of providing signals for the city, as well as boosting tourism in Japan. On a regular day, activities like sky-walking and sightseeing from its observation deck are famous at the Nagoya TV Tower. However, the tower is closed this 2019 for repairs of the damages caused by an earthquake. 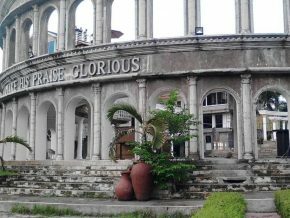 This premier landmark will be operating again in the summer of 2020. 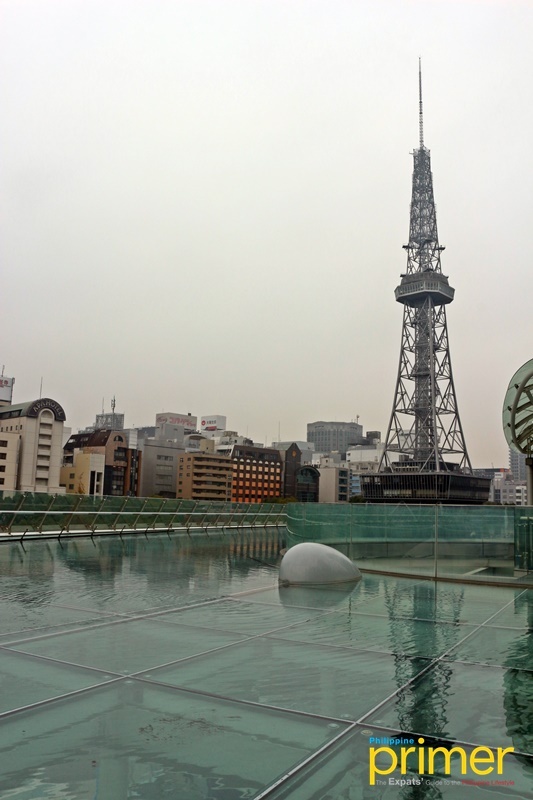 The Oasis 21 is only a few steps away from the Nagoya TV Tower! In the meantime, you can revel in the view of the historic tower and the city from Oasis 21, which has an underground shopping arcade ideal for families and groups to enjoy. You can enjoy an intimate moment with your loved ones on the ever-fascinating Spaceship-Aqua glass roof, with water flowing on its surface and, at night, a colorful glow of lights emanating from the 42 LED lights installed therein. You can also relax in the park just next to Oasis 21. 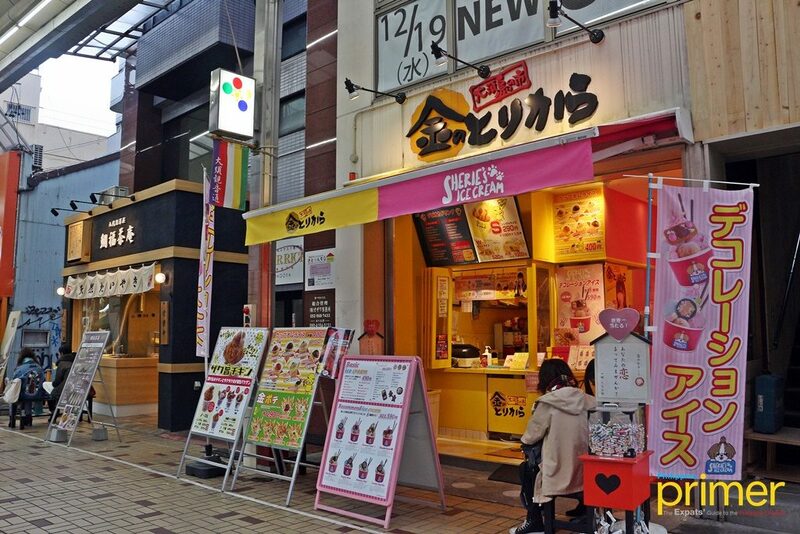 Osu Shopping Street is Nagoya’s very own shopping mecca, with over a thousand restaurants and shops, accommodating not only fashion-forward shoppers but also otaku, foodies, and bargain hunters. There are over a thousand shops and restaurants in this historic complex, which has been in operating for 400 years. There is a whole lot to find at Osu Shopping Street! Osu Shopping Street is not just one street but a network of commercial streets that begin from Osu-kannon, which is the main entrance. 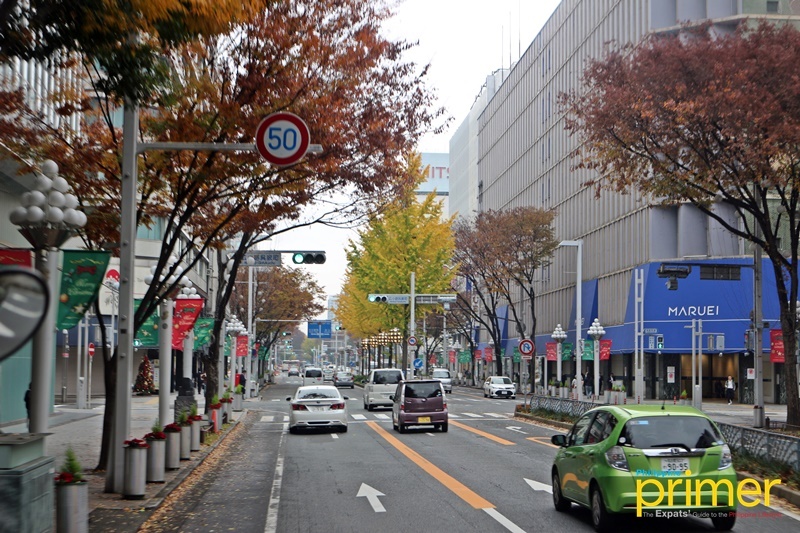 The commercial strips extend to Bansyoji Street, Nioumon Street, and Nigashi Nioumon Street. There are tempting restaurants and little snack shops that will surely stop you in your tracks. 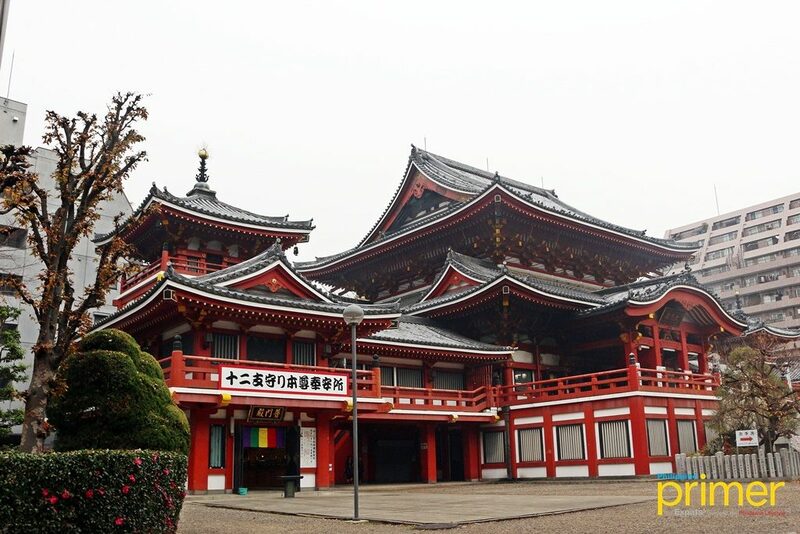 For rare or collectible items, an antique market is held every 18th and 28th of the month at Osu Kannon Temple right by the main entrance. Osu Shopping District is also aptly the venue for events like the Osu Summer Festival (August) and the Osu Street Performers Festival (October). Osu Kannon Temple is right next to the main entrance of Osu Shopping Street. Nagoya City, being a major city in Central Japan, is easy to get to and get around. Nagoya Station is served by Meitetsu Railways and Japan Railways. 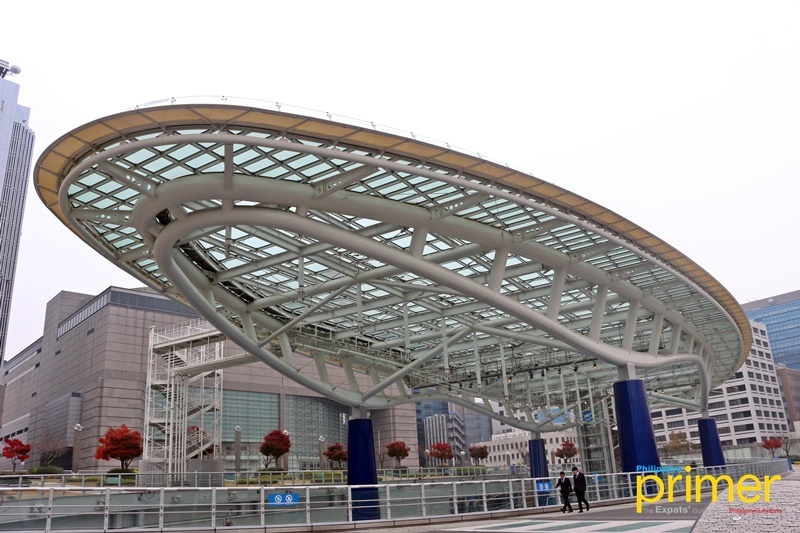 From Chubu Centrair International Airport, it only takes 30 minutes to reach Nagoya Station by train. From Tokyo, you can take the Tokaido Shinkansen, which can take you to Nagoya Station in about two hours.